Likud officials respond to Naftali Bennett's statements Likud to work with Blue and White party to create Palestinian state. Officials in the Likud party reacted angrily to New Right party chairman Naftali Bennett's statements on the Trump Administration's upcoming peace plan Monday. Bennett said that "the day after the elections, the Americans will push the Netanyahu-Lapid-Ganz government to allow the establishment of a Palestinian state on Route 6 and the division of Jerusalem, and Netanyahu will have to sell it [to Israel]." "When Bennett and Shaked founded the New Right, they said they did so in order to attract votes from Lapid and Gantz in order to enlarge the right-wing bloc and that they would not [criticize the right]. Now they are making false accusations against the Likud in order to attract votes from the Likud. This will lead to a government led by Gantz and Lapid, whose party will be larger than the Likud," the Likud party said in response. 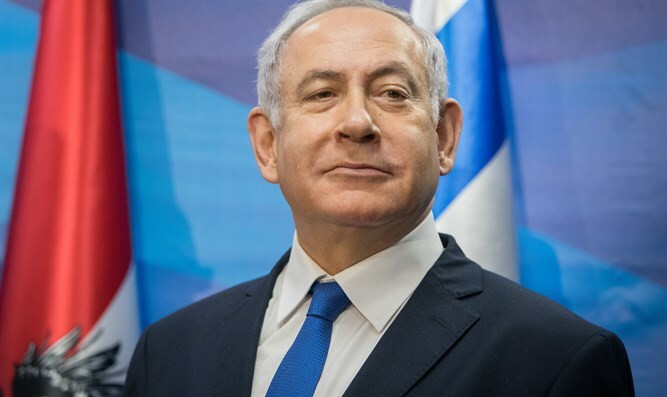 "While representatives of the New Right held talks with Lapid-Ganz to join them after the elections, Prime Minister Netanyahu made it clear unequivocally that he would form a right-wing government. Netanyahu guarded the land of Israel and the State of Israel against the hostile Obama Administration, and he will continue to do so with the sympathetic Trump Administration." The New Right party said in response: "The Likud announcement is pure fake news and nonsense." "The pressure is clear. Kushner spoke clearly. [The choice is] the right or Palestine. Only the New Right will prevent the establishment of a Palestinian state in the land of Israel."